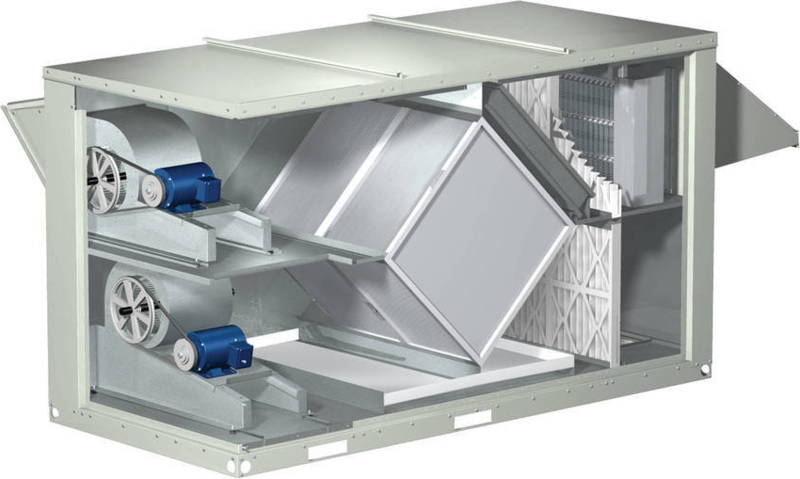 The difference between domestic heat recovery systems and those on an industrial scale is mostly the size and complexity. The technology remains the same, normally incorporating a method such as heat exchange. Unlike our homes, industrial processes are usually prone to huge heat losses and getting to grips with that wastage can provide untold benefits for large manufacturing and production businesses. It’s not just the manufacturing industries that have a problem with heat lost. According to a recent report our large power stations could save over 10 million tonnes of CO2 if they tackled the problem of waste heat. Not only can buildings like power stations and factories do a lot to reduce their carbon footprint they could also provide valuable heat resources to the surrounding area. Dairies in the UK are looking at using heat recovery systems, particularly ones that take the waste heat from their refrigeration processes. These systems work by moving refrigerant around in pipes that evaporate and liquefy to produce the cooling effect. Most of the heat lost (up to 20%) during this process is due to what is called ‘superheating’ and this is where a large scale heat recovery system can come in useful. 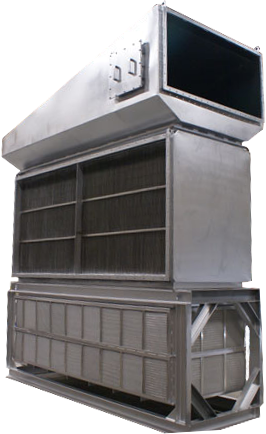 Installing a de-superheater can help draw that lost energy and coverts it into heat that can be used elsewhere. A factory like the Roll Sandwich Company that supplies sandwiches for large corporations including the NHS and universities uses refrigeration and air compressors in its daily business. Their entire hot water supply, including for heating, is now provided by large scale heat recovery systems that save the company around £8,000 in electricity costs a year. A number of large companies are pushing forward with better and more sustainable ways to do business in their factories. This includes Nestle and Kellogs who are introducing new ways to recover heat in their premises and it seems that many food and drink organisations are leading the way when it comes to renewables. The processes that occur in industrial situations can mainly be divided into low heat and high heat. Low temperature factories typically produce between 400 and 500 °C, whilst high temperature organisations discharge in excess of 500 °C, which can include major operations such as furnaces. Obviously, the potential for large scale heat recovery and ventilation systems is huge in these circumstances and can produce a significant return on investment for many businesses. Our factories use a variety of methods that produce heat as a by-product including direct combustion, thermal oil and direct electrical heating. Most factories need a bespoke solution to tackle heat loss and any system needs to take into account the nature of the building and the different processes being undertaken. 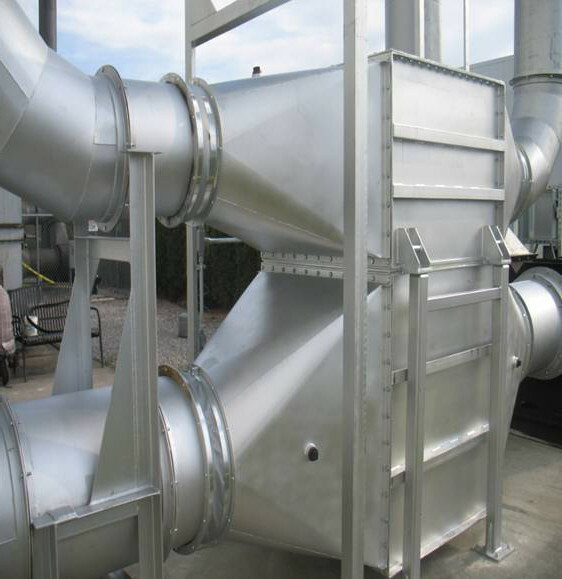 Find out about types of large scale heat recovery and ventilation systems. A number of factories us things like air compressors. The electricity from this machinery is normally released as heat which can be recovered by heat exchangers that can be reused. Distillation industries lose a large amount of heat from the process of separating liquids with low boiling points from those with higher. Many industrial processes use dryers that produce a large amount of excess energy that can benefit from a large scale heat recovery and ventilation system. Dyeing and finishing industries incorporate low temperature processes that can be recovered and used to provide hot water and heating for the premises. Other low temperature processing industries include food manufacturers that produce heat from ovens, the pasteurisation and sterilisation in the food, as well as process cooling and heating, and washing. Industries that include furnace operations fall into the category of high temperature processes and can benefit hugely from large scale heat recovery and ventilation systems. Capturing all that heat can be used to provide space heating as well as making existing industrial processes such as preheating more economical. Most of the innovation has been carried out by the chemical, steel and iron industries that typically use high temperatures in their factory processes, converting it for use in pre-heating, steam and electricity generation that can all be fed back into the daily running of the plant. One of the major areas where large scale heat recovery and ventilation systems can be put to more widespread use is in the development of district heating for a local community. This is a renewable initiative that is beginning to gain ground in the UK but has been more fully developed in countries like Denmark. This basically supplies heat, drawn from surrounding industry and used in the form of hot water, to many homes and offices which then don’t have to produce their own energy through individual boilers. Most new office builds now incorporate cutting edge heat recovery technology that cuts down energy costs and builds a more sustainable environment for our business to carry out their operations. As with domestic buildings, retrofitting a heat recovery system depends largely on the age of the building and the level of insulation it has. Find out if it is worth installing a large scale heat recovery and ventilation system for your office.